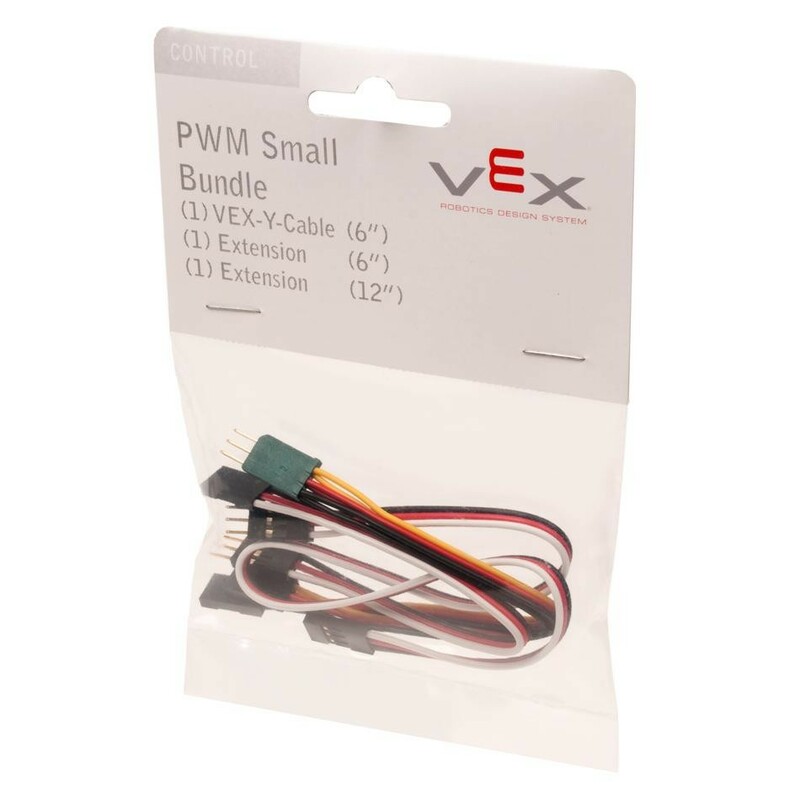 Extension cables are used to extend the length of a 3-wire cable such that a motor/servo or sensor can be farther from the VEX Microcontroller. Availability: 26 In Stock. Backorder available. 3-wire "Y"-cables allow 2 motors/servos to be driven by a single microcontroller output. 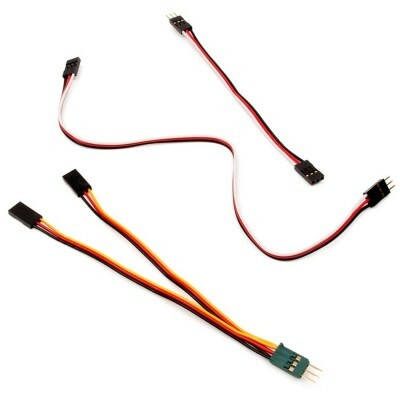 Compatibility: Extension cables compatible with: Motors and Servos, All 3-wire sensors. Usage Notes: Only connect one Y-cable to a motor output, allowing two motors or servos. Do not daisy chain multiple Y-cables to one port. 3-wire Y-Cable 6": 0.008 lbs (3.63 grams). 3-wire Cable 6": 0.005 lbs (2.27 grams). 3-wire Cable 12": 0.009lbs (4.08 grams). Actual weight of one item (no packaging).